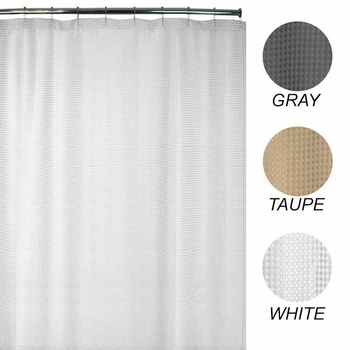 The Palmetto Heavy-Weight Waffle Weave Shower Curtains are a true hotel quality fabric shower curtain. 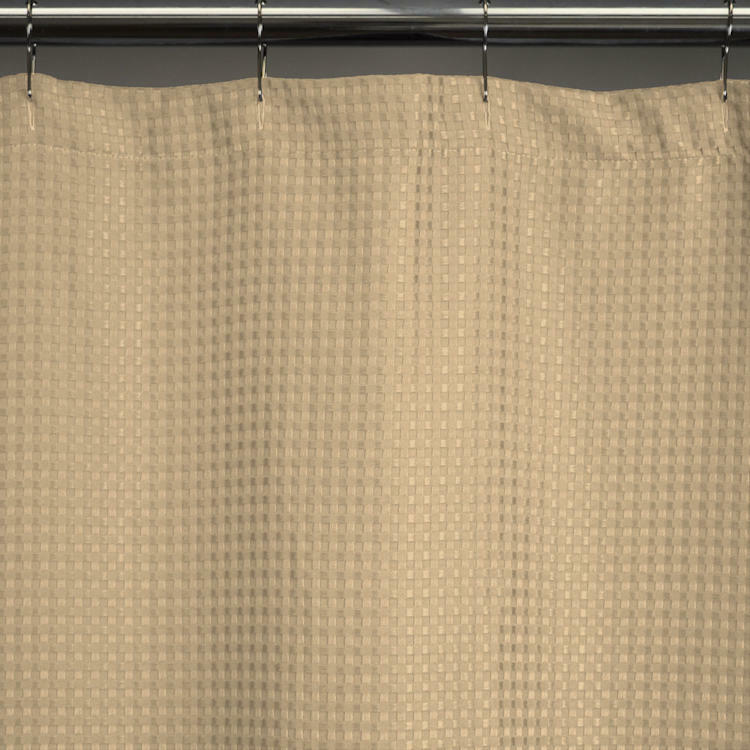 The attractive waffle weave pattern, combined with the commercial durability, makes these shower curtains our most popular choice. Add a plush, upscale hospitality look and feel to your bathroom packages with these thickly woven, solid color fabric shower curtains. Offered in 3 solid colors that perfectly match with the Palmetto Microfiber Spa Bath Rugs to complete the bathroom package. Your shower curtain replenishment cost will also be kept to a minimum by using to these long-lasting shower curtains that look great wash after wash after wash. Truly a great value in premium hotel quality, heavy-weight fabric shower curtains at a low wholesale price with free shipping. At 72" by 72", these standard size fabric shower curtains are made for standard size shower and bath openings. 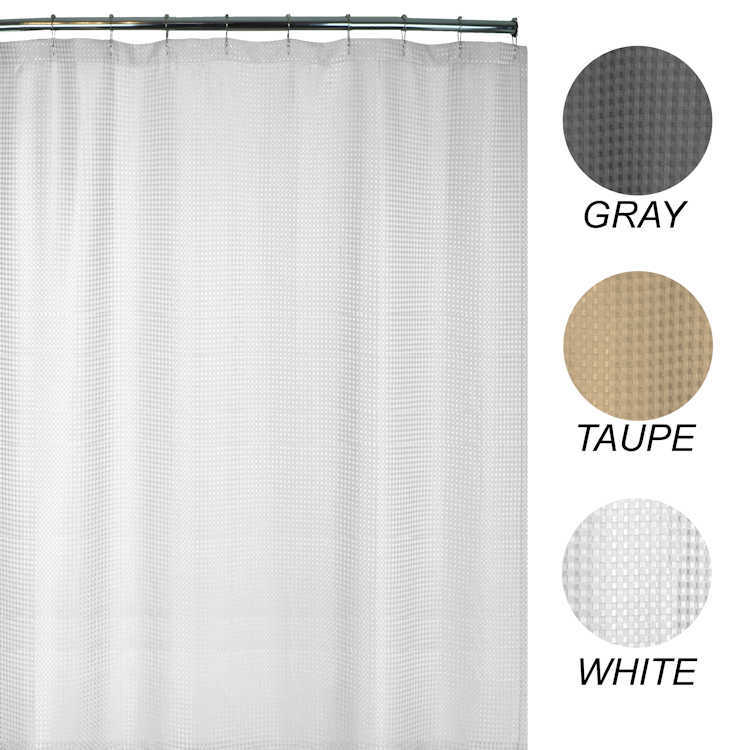 Palmetto Waffle Weave Shower Curtains are also available in an Extra-Long 78" length for taller shower and bath openings. Hotel Quality Shower Curtain - Commercial Grade for strength and durability. 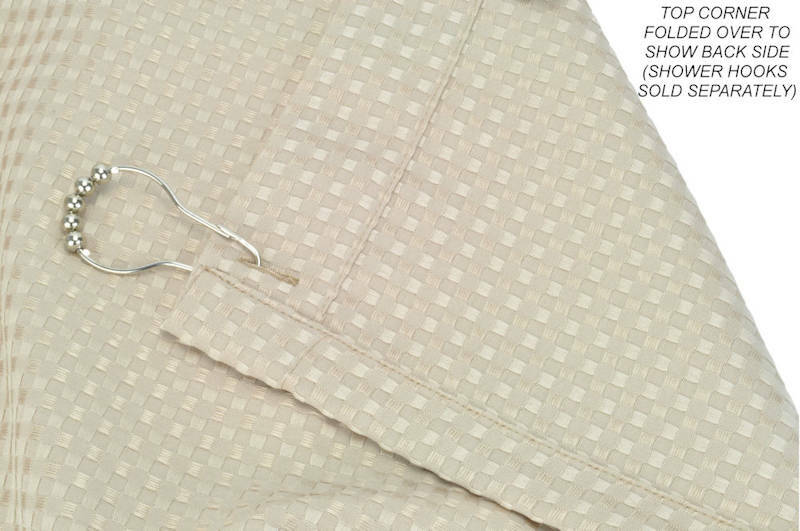 Thick Waffle Weave - premium raised waffle weave pattern for an upscale look. Heavy-Weight, Low Wrinkle Fabric - 240 gsm (grams per square meter) 100% Polyester. Easy-care Polyester - Launders extremely well (see care instructions below), stain resistant, faster drying than cotton. Color Fast Colors - colors will not fade with repeated laundering. 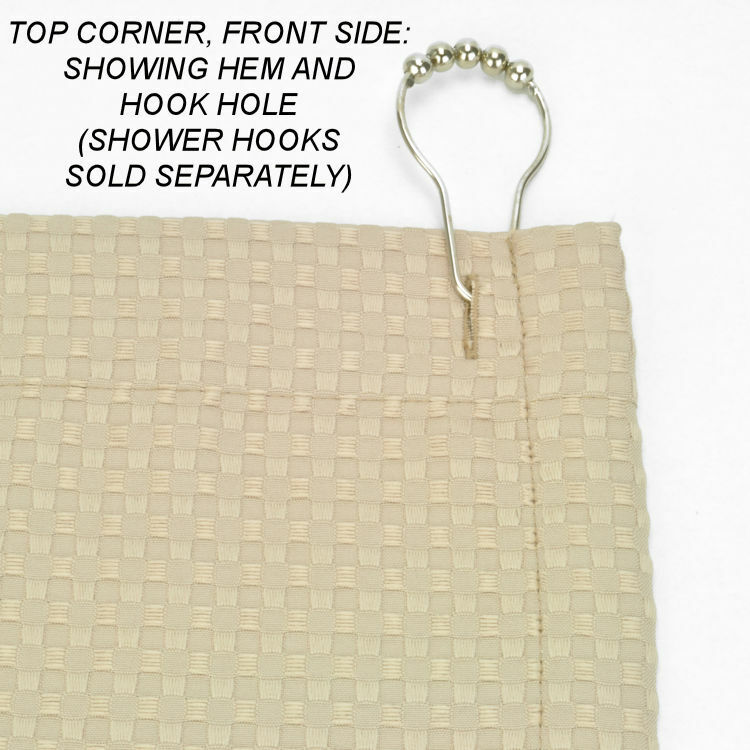 12 stitch reinforced grommets - ensures holes don't tear with heavy use. Not water proof, requires shower liner and hooks (sold separately). Hem size: 2" on the top, 1" on the sides and bottom. Available in 3 solid colors: White, Camel and Gray. Color coordinate with the Microfiber Spa Bath Rugs. Care Instructions: Made for repeated commercial laundering. Machine wash in warm water on gentle / regular cycle. Hang Dry or Tumble dry on low heat for a few minutes. ***Drying Note*** 100% polyester dries extremely quickly. Over heating or dying too long can reduce the life of the shower curtain. Remove from dryer when 10-15% moisture remaining. 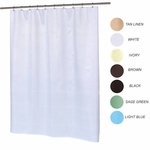 Color safe - Small amounts of bleach added to laundry is ok for heavily soiled shower curtains. When laundered and folded right out of the dryer, shower curtain will be virtually wrinkle free. Light Iron as needed if left folded for long periods.